Eugene is Director of Programmes at Waterford Institute of Technology’s Centre for Enterprise Development and Regional Economy (CEDRE). He manages their New Frontiers Programme and is highly experienced in working with start-ups as an advisor and also an investor. He delivers workshops on marketing, business model design and strategy to New Frontiers participants and has lectured in marketing and strategy to under-graduates and post-graduates. Eugene has a career in international marketing and sales, having held senior management positions with organisations such as Diageo (Baileys), Waterford Crystal and AT Cross in the USA, Europe and the Middle East markets. Eugene has conducted business in over 50 countries during 18 years of international roles. He holds BA and MBA Degrees and a Post Graduate Diploma in Business. Eugene is a Fellow of the Irish Institute of Training & Development, a NCGE Entrepreneurship Educator Fellow plus a European Entrepreneurship Educators Fellow. 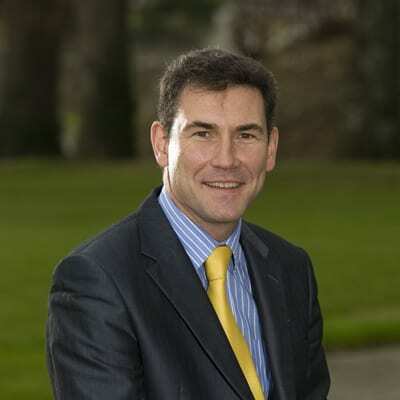 He was an active member of the Marketing Institute of Ireland having previously held the position of regional Chairman. Eugene served as a Director for Waterford Chamber and was a core member of the marketing committee for the Waterford Tall Ships Race.